In all my time in this sport, I don’t think I’ve ever seen an injury like this one before. Tough fighter Mark Sarracino had his lip torn apart by an elbow. I don’t think he wanted to stop fighting but the doctor called it off. This was taken last night at the Nemesis 10 Muay Thai show in Perth, Western Australia. 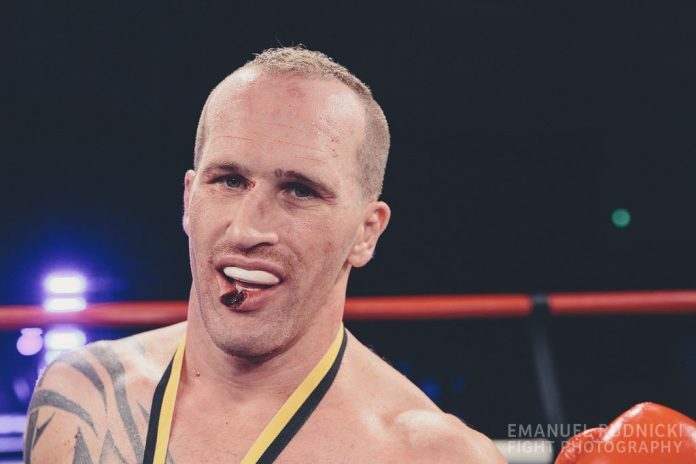 Emanuel Rudnicki is a former Australian national champion in Muay Thai from Perth, Australia. He is a wedding photographer at Noisy Pixels and primary photographer at FIGHTMAG.